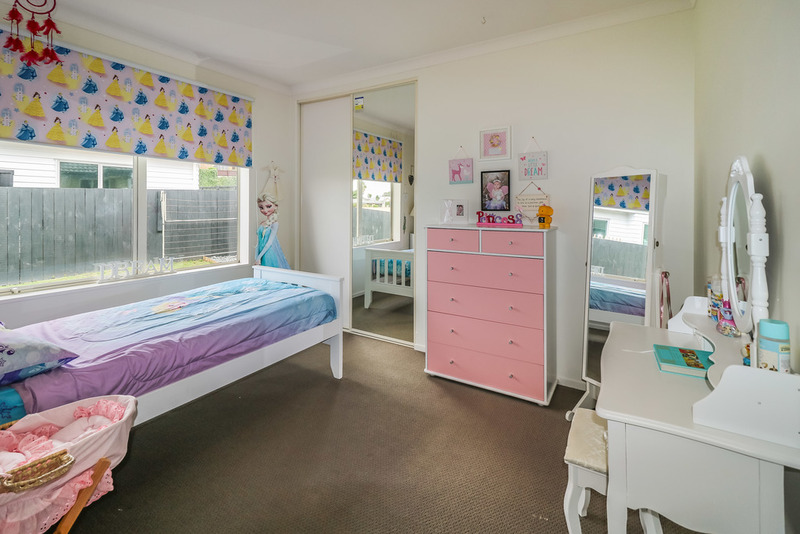 This family home offers contents galore! 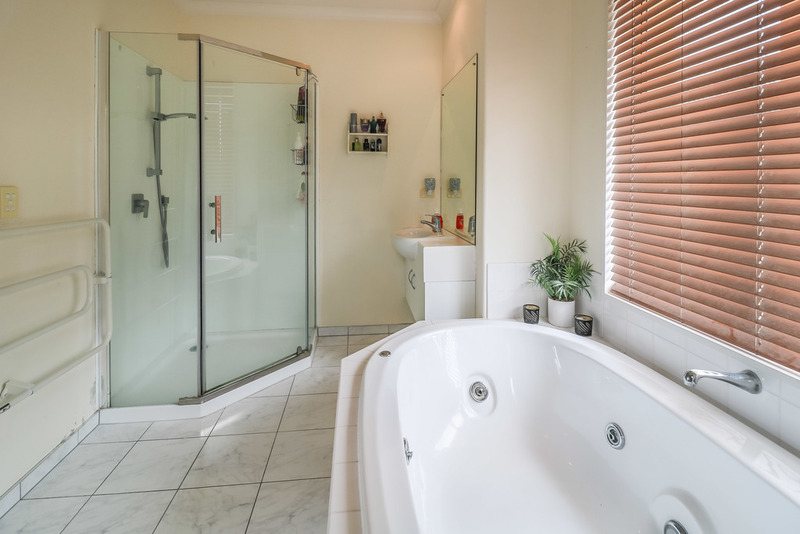 With 5 bedrooms, 2 full bathrooms (both including baths and showers) and an extra guest toilet (3 toilets in total) and 2 generous sized living areas. 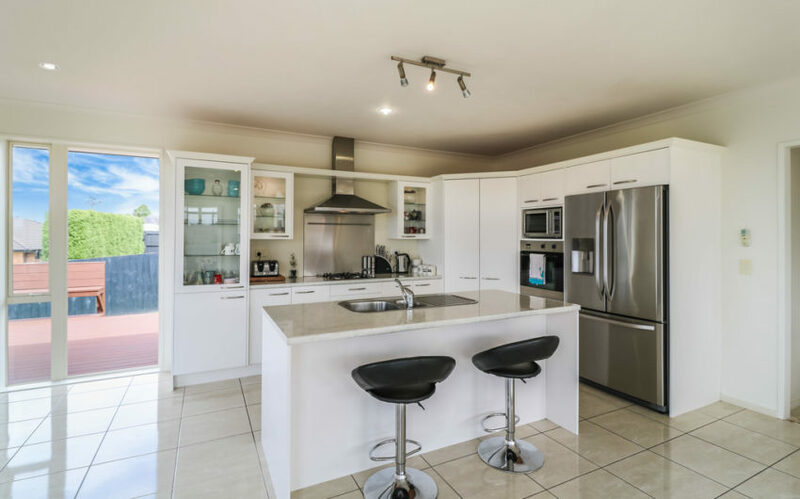 The Spacious and light open plan kitchen offers north facing floor-to-ceiling windows with access out to your choice of 3 outside entertaining areas. 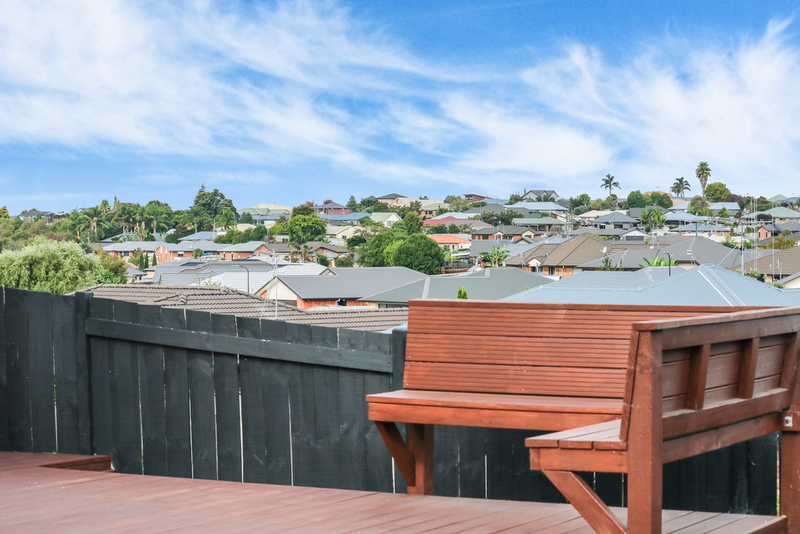 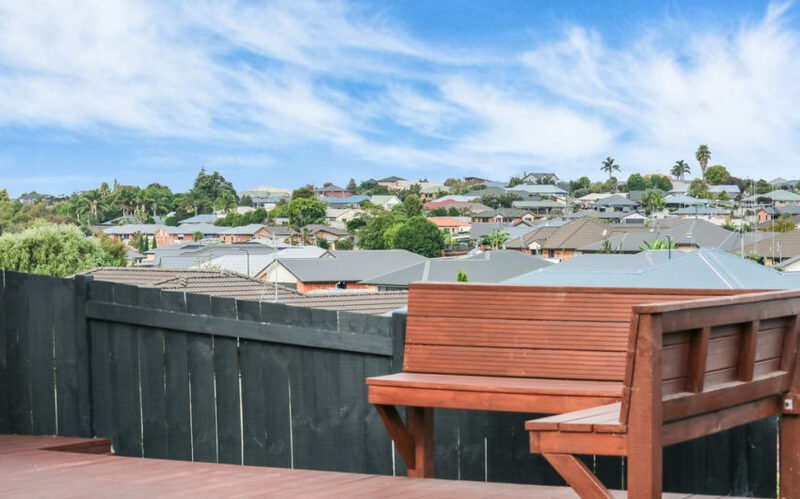 And you won’t be disappointed with the elevated view of the city off the decking! 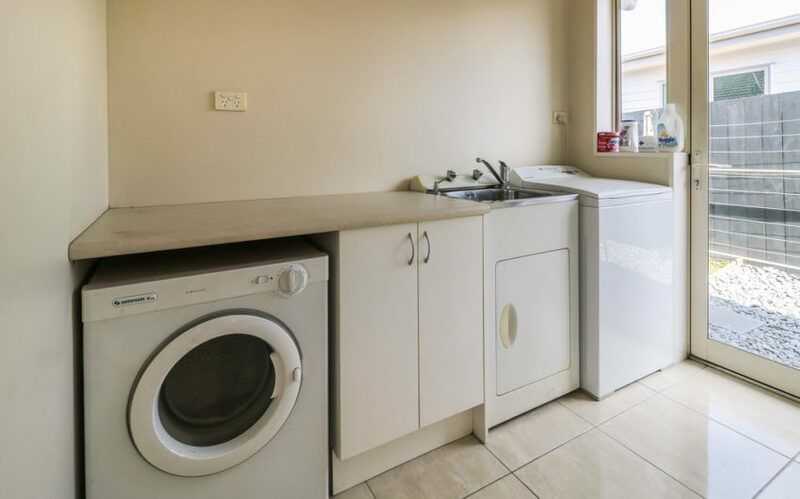 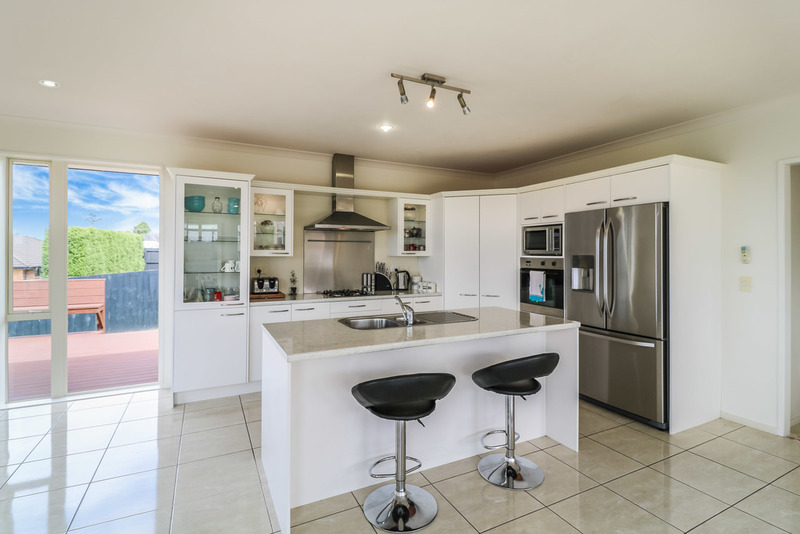 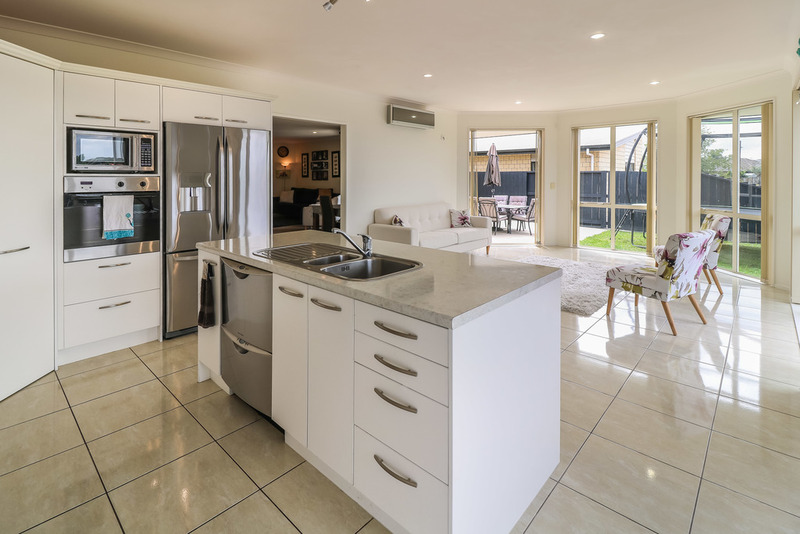 The kitchen boasts a fully tiled floor, a gas hob, electric wall oven, 2 dishwasher drawers, ample storage and a kitchen island/breakfast bar. 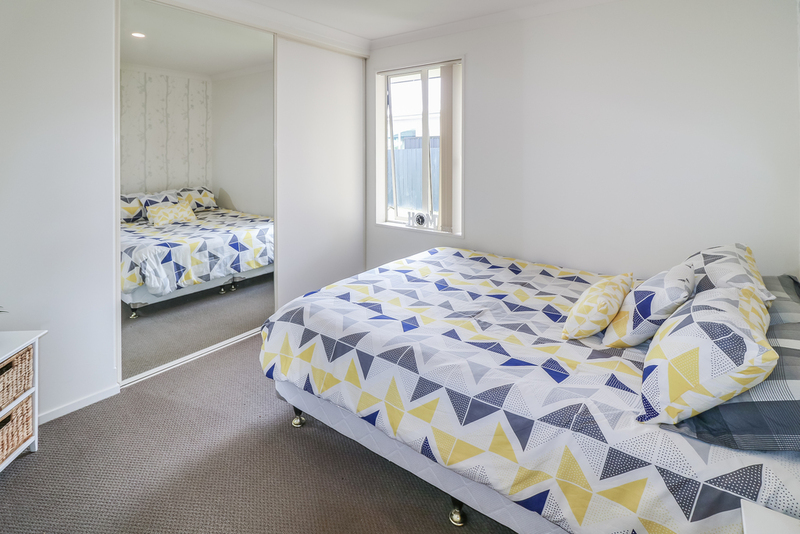 All 5 bedrooms offer built in wardrobes. 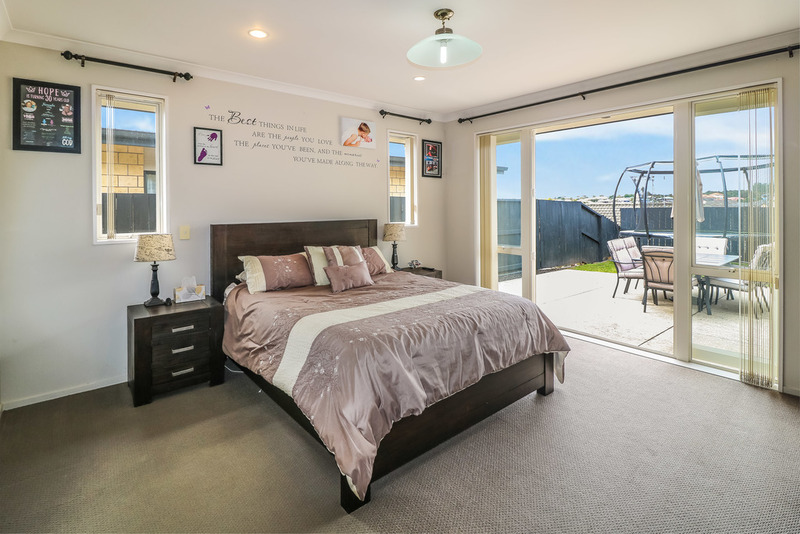 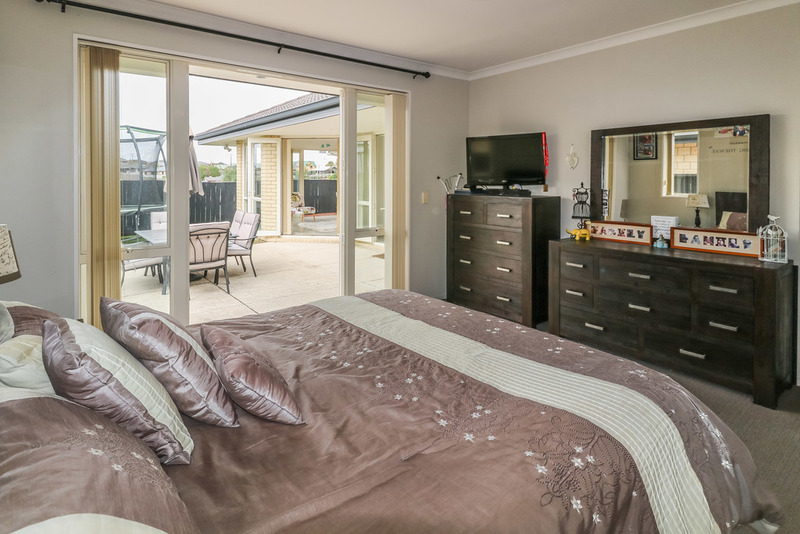 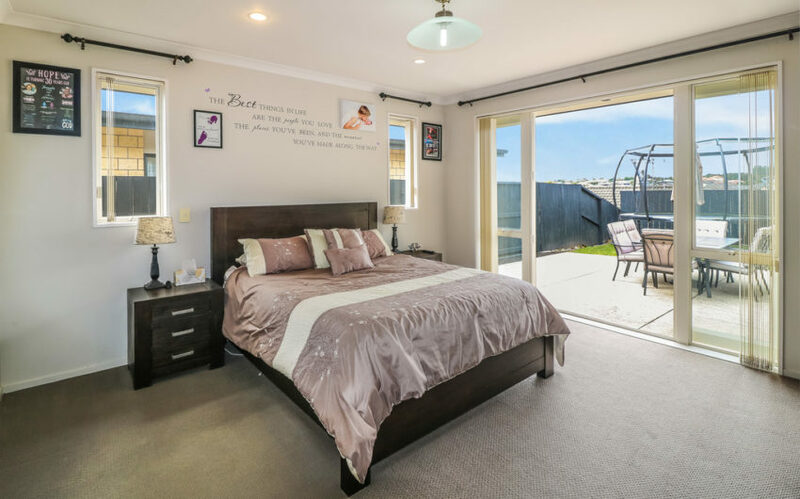 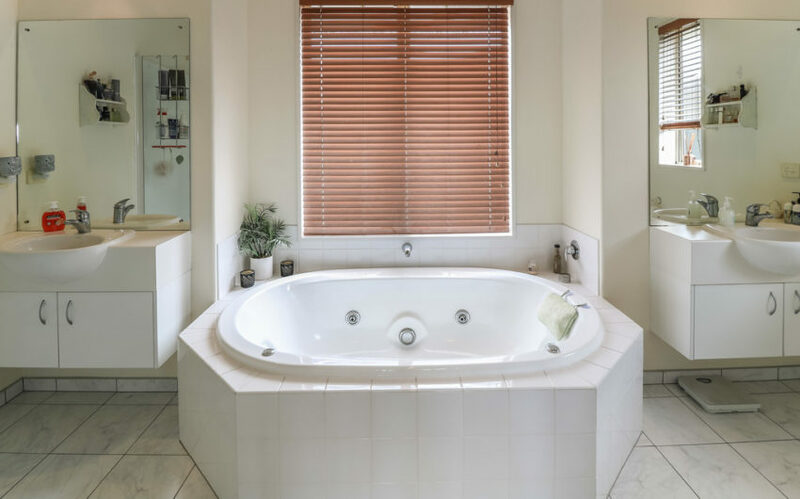 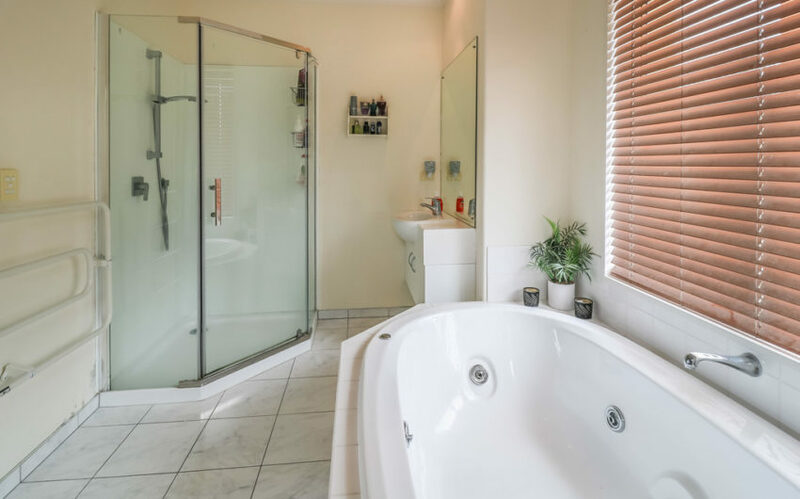 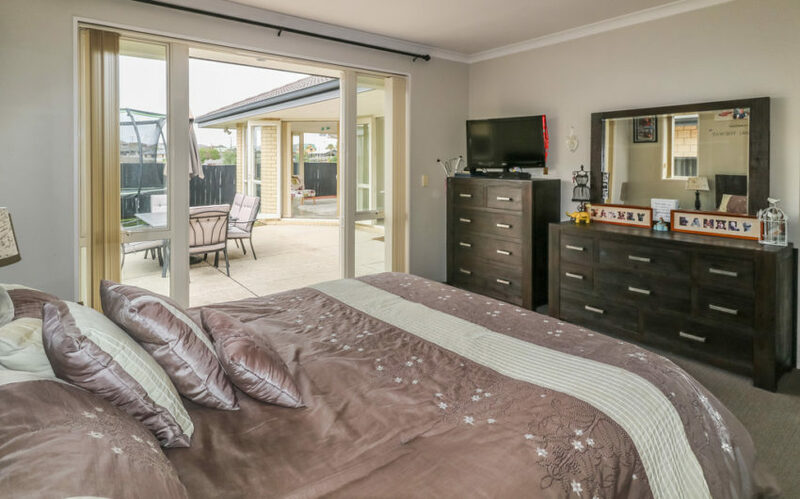 The large Master bedroom has his/her built in wardrobes with a full en-suite bathroom boasting a corner shower, his/her vanities and a Jacuzzi bath. 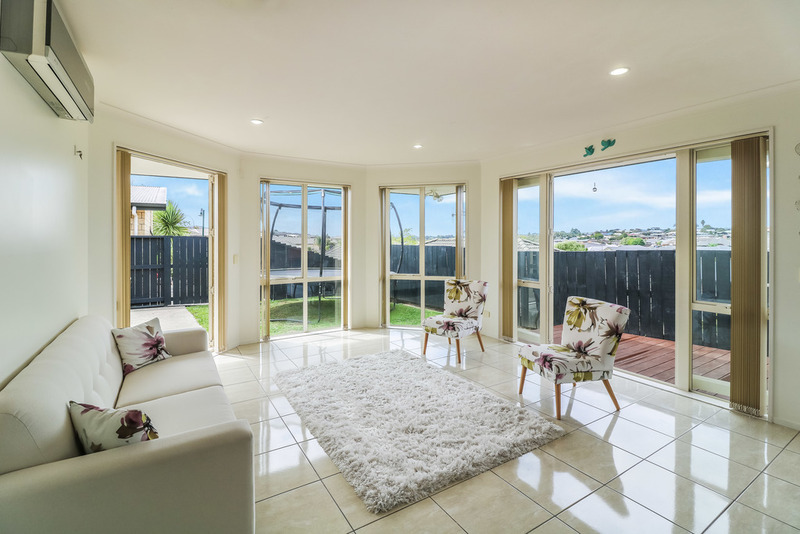 There are also double doors opening out onto a concrete patio area into the garden. 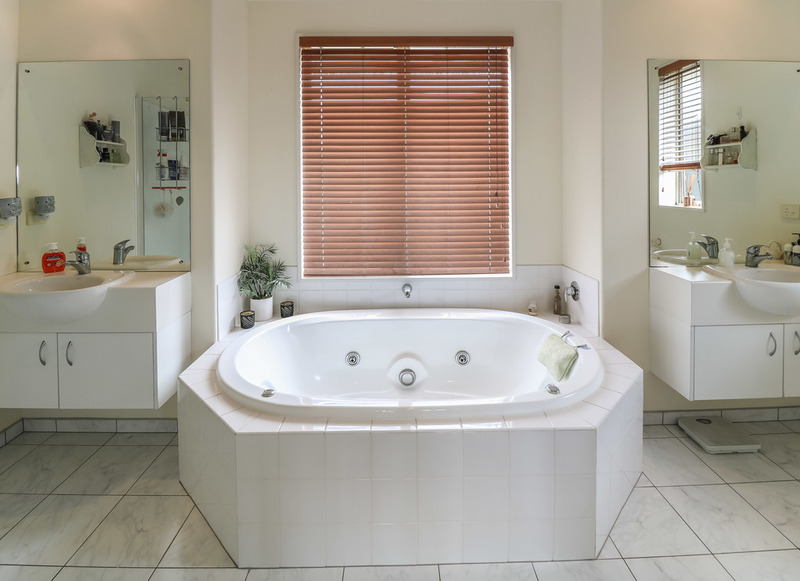 The family bathroom offers a separate bath, shower and vanity. 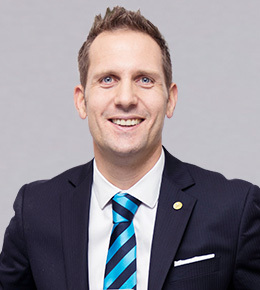 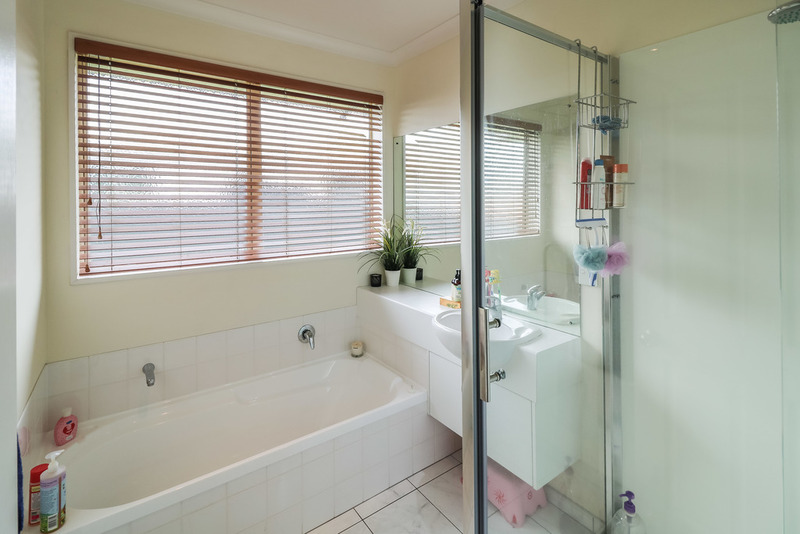 For added comfort there is a HRV system, 2 x heat-pumps and gas infinity hot water. 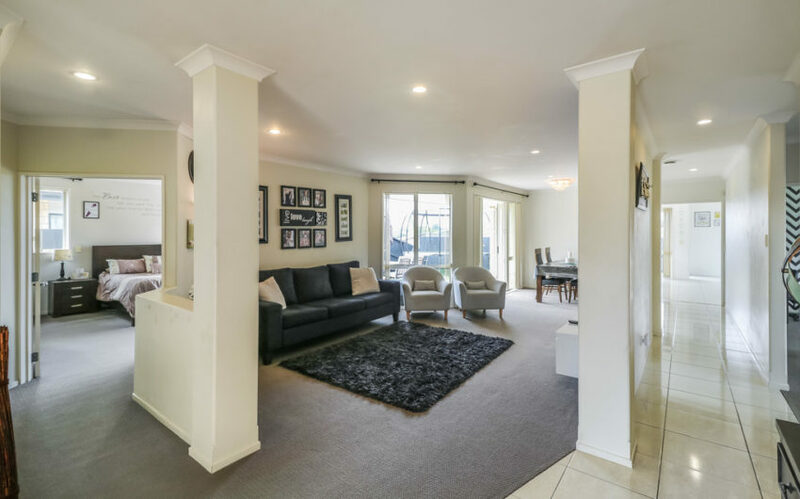 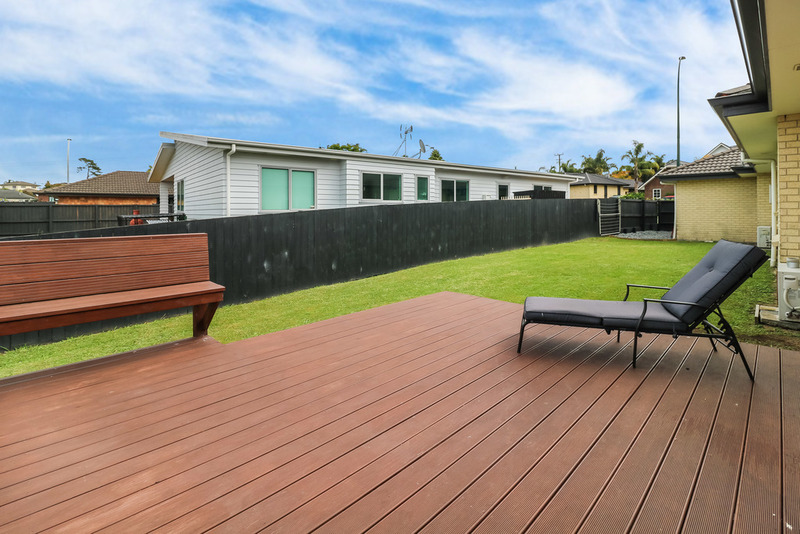 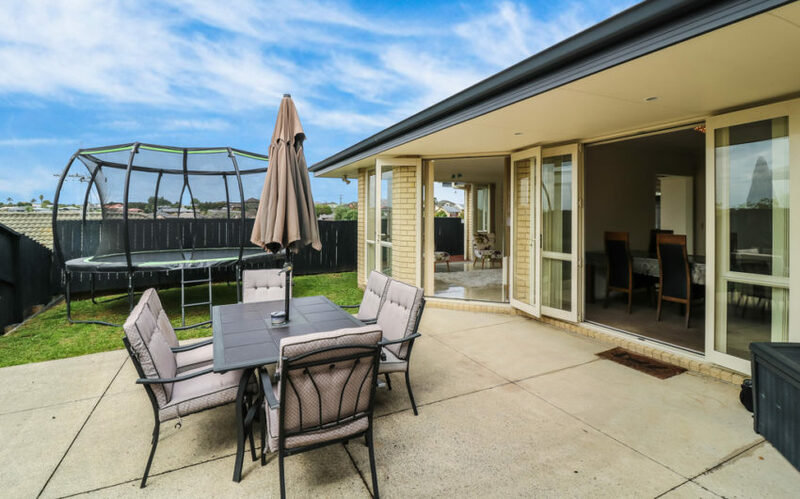 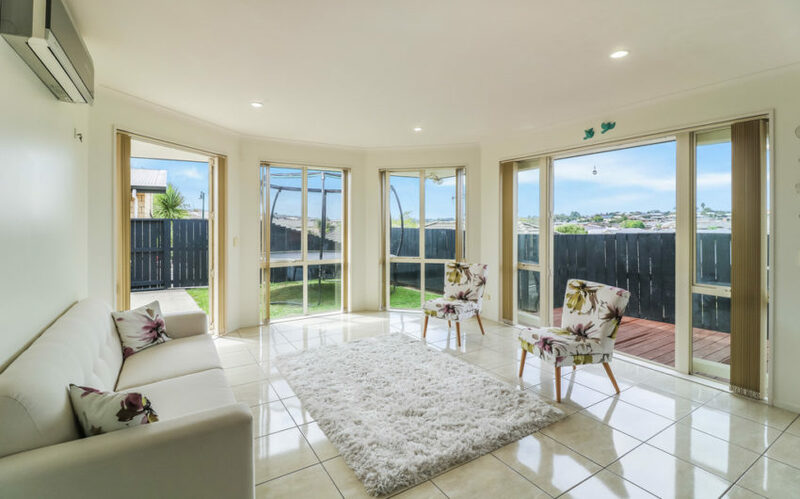 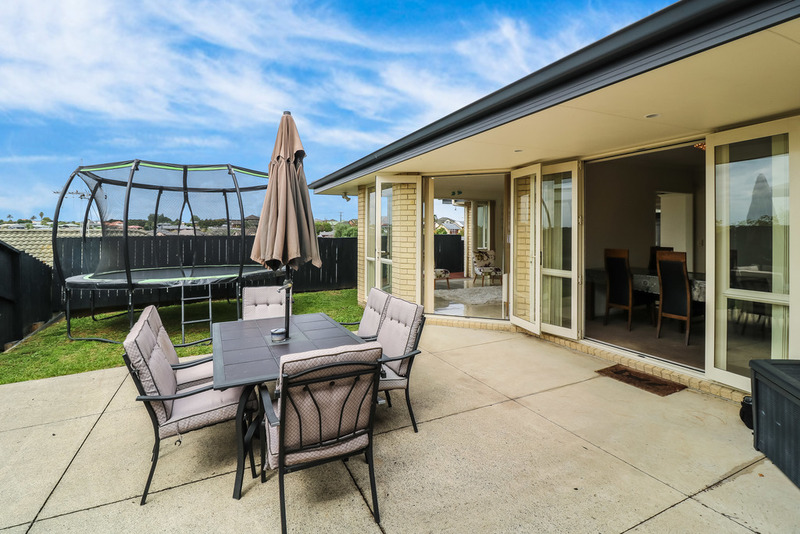 This property offers a fully fenced section with a choice of outside entertaining areas, making it an ideal spot adults, kids or pets to play! 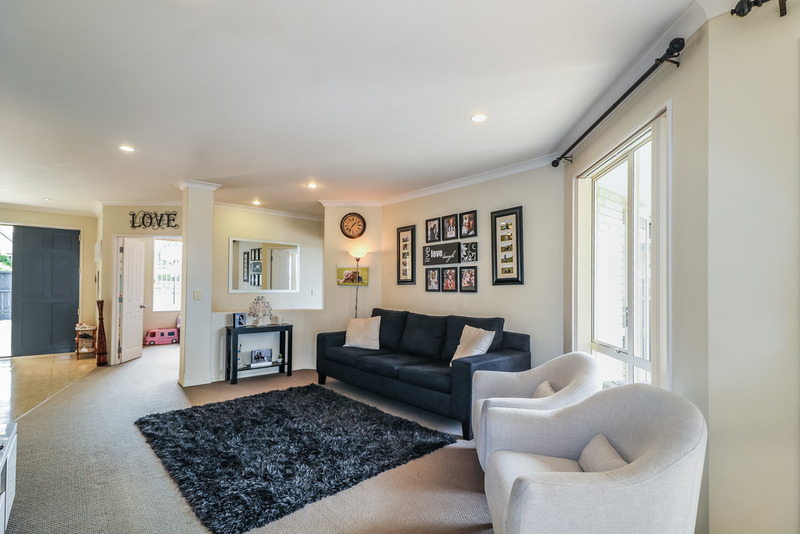 There is plenty of off-street parking , plus a double internal access garage for added convenience. 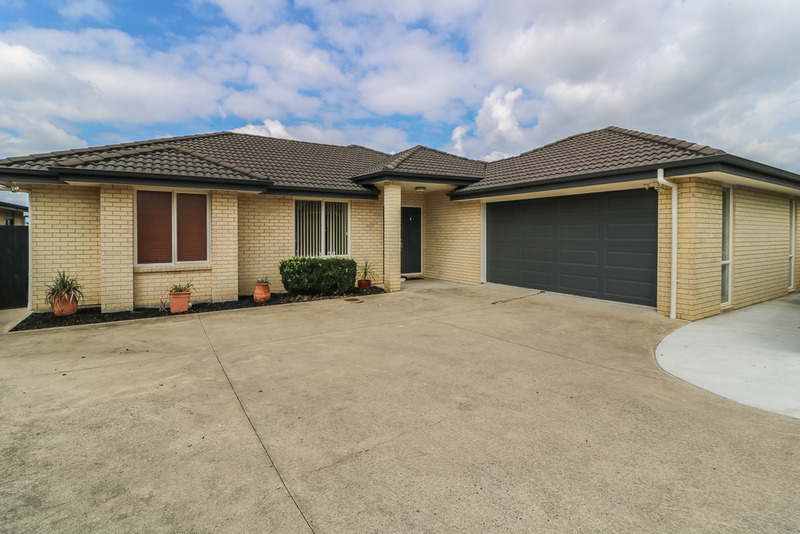 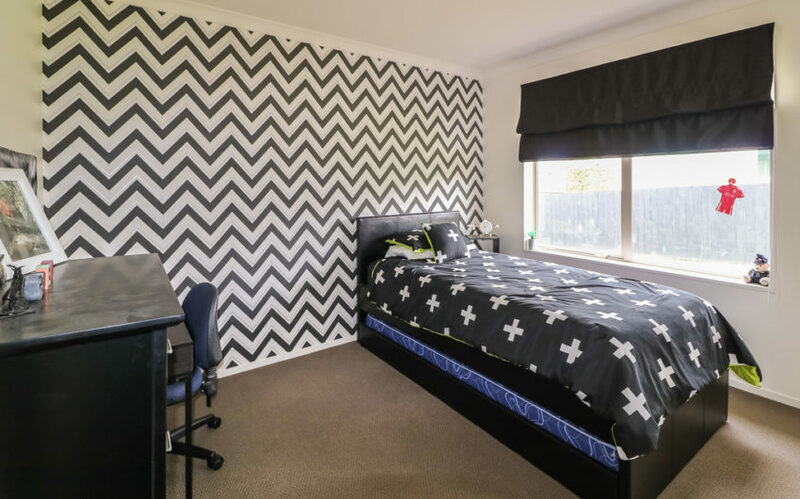 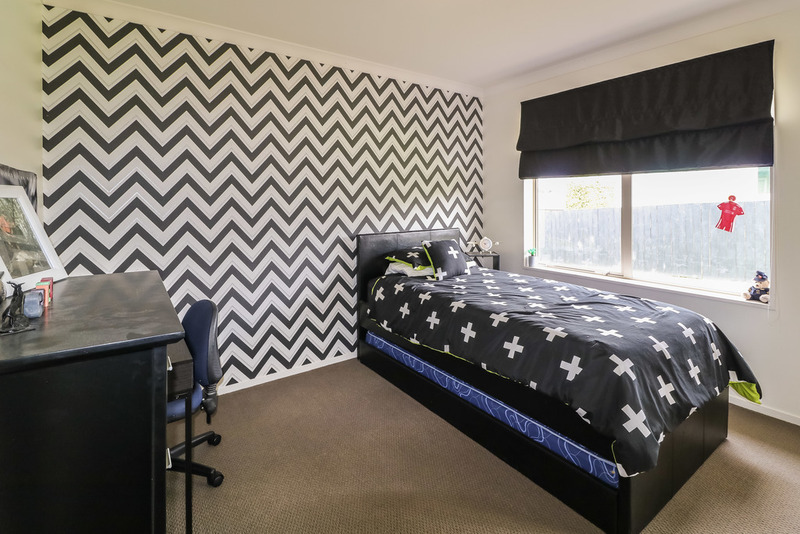 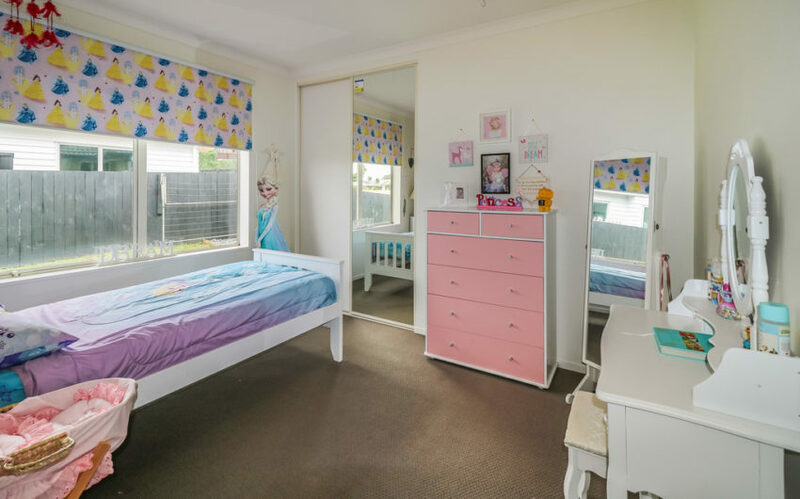 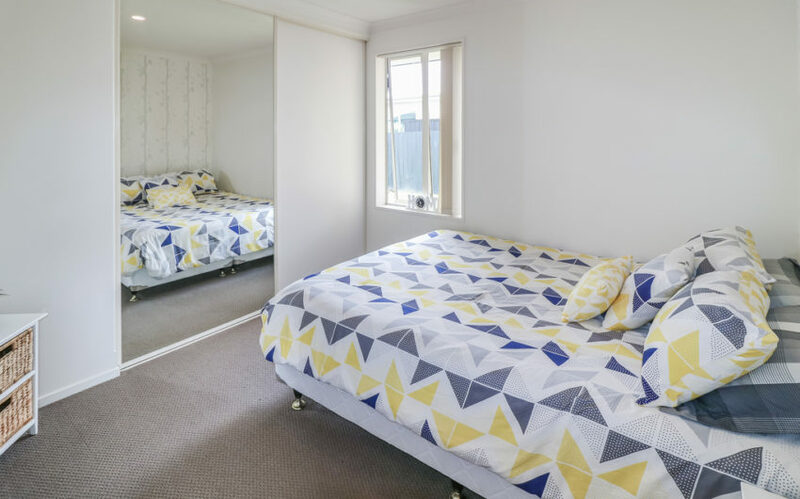 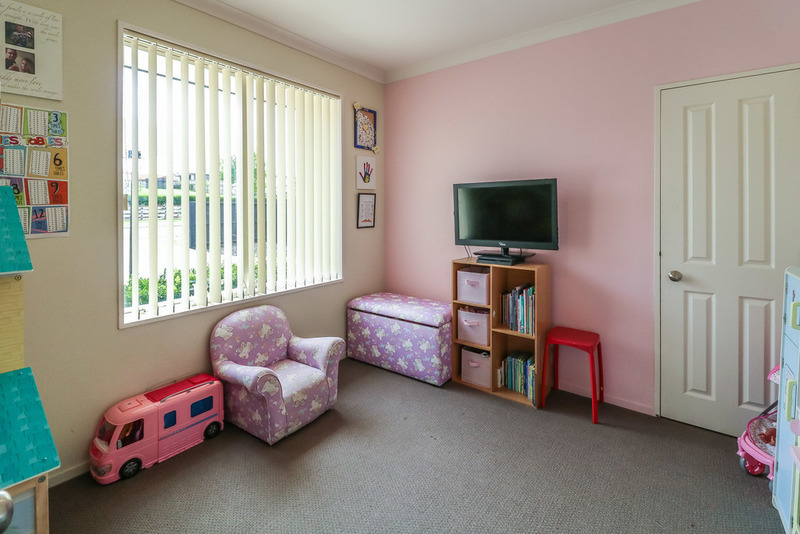 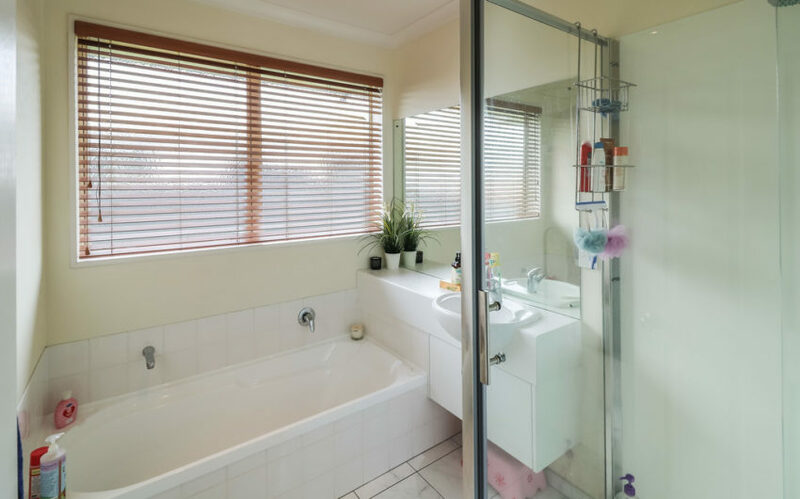 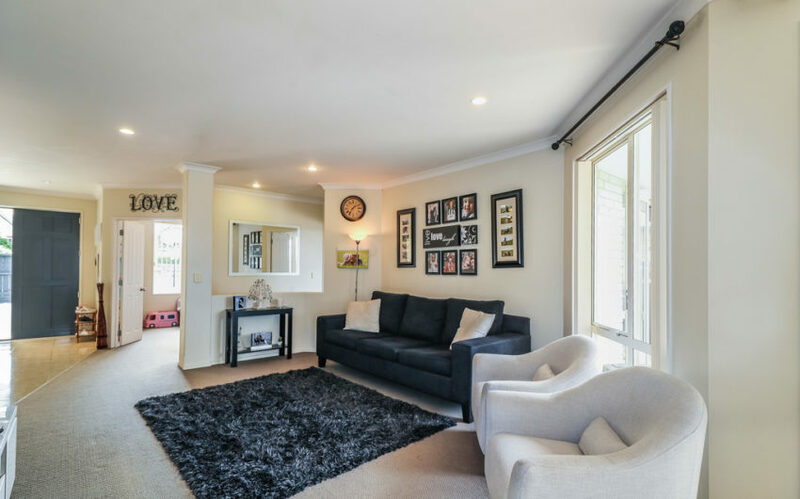 Close to the Hamilton Zoo, Hamilton City, Te Rapa (The Base) and public transport links. 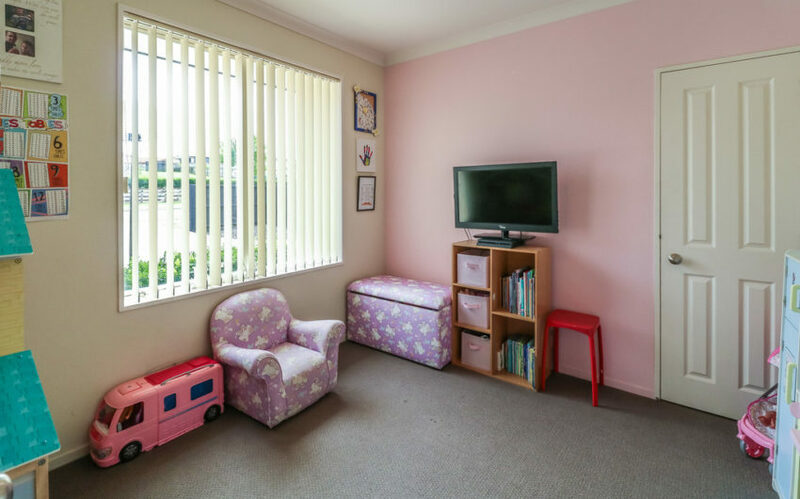 There is a LIM report and full information pack available.